*The lab portion of the annual MDVIP Wellness Program will be billed to patients directly by the lab company at the discounted rate of $70. As an internist, I am the doctor you rely on when your first question or concern arises. My role as a primary care physician is to help each of my internal medicine patients achieve or maintain optimal healthcare through wellness and prevention, as well as manage acute and chronic conditions. My goal is to partner with each of my patients, developing a relationship based on trust, mutual respect and open communication, and ultimately creating a personalized plan for achieving optimal health. My patients know that I practice what I preach from being physically active (pursuing my love of martial arts) to eating healthy, which is key to reducing inflammation - the primary risk factor for cardiovascular disease, diabetes and stroke. I have a special interest in preventive medicine, bariatric medicine (weight loss), cardiovascular health, age management (aging and bioidentical hormone replacement), integrative and alternative medicine. For 30 years, I have had the privilege of caring for others, and it's even better now. MDVIP allows me to provide care in an unrushed, uninterrupted setting, where all your individual needs are addressed and treated. My personalized primary care practice, sometimes referred to as a concierge practice, is located in Livingston, New Jersey and serves West Orange, Short Hills, Essex Fells, Verona, The Caldwells, East Hanover, Montclair, as well patients from New York and Pennsylvania. I am affiliated with Saint Barnabas Medical Center. We love our Doctor Maida! professionalism, compassion, and expertise that has impacted our lives in such a positive way. Now, as a senior citizens, We are healthier than ever! my wife also joined his MDVIP practice also. His staff have always been knowledgeable, professional, and courteous. Dr. Maida is thorough, thoughtful and caring. 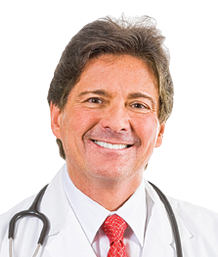 Dr. E. Martin Maida diagnosed me with an uncommon autoimmune disorder which was making me stiff, sore and very decrepit. My previous physician had missed the diagnosis. Thanks to Dr.Maida's diagnostic and treatment skills, I soon felt better and was able to resume my normal activity level. Dr. Maida is thorough, thoughtful and caring. Here's the thing you need to know about the good Doctor. In a phrase, when I was initially referred to E. Martin Maida in 1998, I was a mess...physically and emotionally. Here's the thing you need to know about the good Doctor. Although he knows medicine better than most, he also knows the human heart...not just the miraculous pump that keeps us alive, but the human heart that is the center of compassion. My doctor, my friend, my confidant. My doctor, my friend, my confidant. You are the best, thank you for being there for us through good and bad. I feel so fortunate having you as my doc. and able to be a part of MDVIP. He is never more than a heartbeat away. Always there when I need you. God Bless You, for caring. Dr. Maida is the best doctor I've ever had and one of the finest men I have known. Dr. Maida is the best doctor I've ever had and one of the finest men I have known. He knows exactly when to go by the book and when to think outside the box. It may be a cliche, but it's true in this case, that he treats the whole person, not just the most obvious, immediate symptoms. I always feel he is going to help me get well. What can I say; I love Dr. Maida!